A challenging trek against the backdrop of stunning scenery and breathtaking views across North Africa. Tribal Tracks is delighted to be working with The Fire Fighters Charity on a bespoke Mount Toubkal Challenge that is being provided exclusively to the Charity. Mount Toubkal is in Morocco and is the highest mountain in North Africa. Morocco is exotic and has spectacular scenery, whilst only 3.5 hours away from the UK. The challenge will help to bond and cement supporters together, whilst raising money for the Charity. Charlie Richards, ex Army Officer, will be your dedicated Tribal Tracks advisor for this trip and will be with you every step of the way, ensuring that every single detail of the tour runs smoothly, from start to finish. Stunning High Atlas Mountains with views of the Sahara from the top! To register your interest, please click on the button below, you will then receive the booking form that needs to be completed & further details about the trek. Stage 1 – Registration – Payment of a non-refundable registration fee of £300 payable to Tribal Tracks required by 1 September 2019, along with your completed booking form (bank account details will be on the form). Stage 2 – Fundraising – Pledge to raise a minimum sponsorship of £1,700 (excluding gift aid) for The Fire Fighters Charity. A minimum of 80% (£1,360) must be received, in clear funds, by The Fire Fighters Charity at least ten weeks before you depart to secure your place on the challenge (payment details are on the booking form). The balance of the fundraising sum (a minimum of £340) is due no later than 4 weeks after the Mount Toubkal Challenge team return. 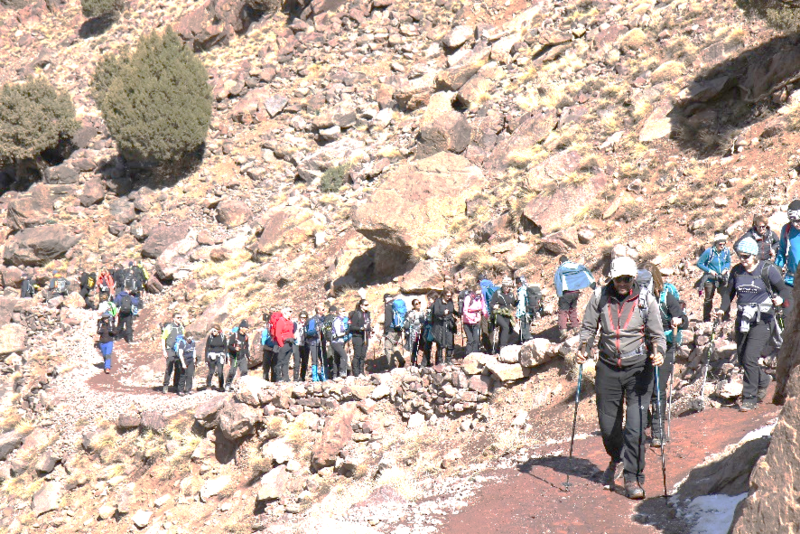 The Fire Fighters Charity have set up a Just Giving Toubkal Team page that can be used for fundraising, the details will be forwarded to you once you have registered. Option 2 – Self Funded – The self funding option is when the entire challenge is funded by yourself, this means you do not have to commit to raising a set sponsorship. Although no fundraising is required, we do ask that you do raise as much as you possibly can for The Fire Fighters Charity. Stage 2 – Final payment £795 – Tribal Tracks will send out final invoices 10 weeks before departure with final payment due to Tribal Tracks 56 days before departure.